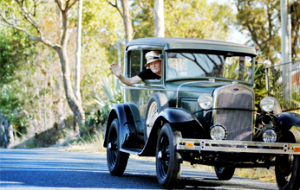 Rod is aiming to set a new world record as he drives against the clock from New York to California in his 1930 Ford Model A, paying homage to H. Nelson Jackson and Sewall K. Crocker, the first to drive coast-to-coast across America 110 years ago. Australian motoring enthusiast Rod and his co-driver Michael Flanders will travel through ten states as they attempt the 2,947mile drive in under 60 hours. 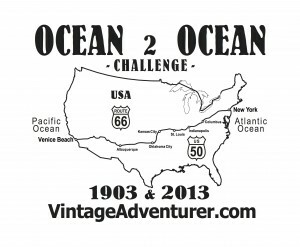 Their planned route will take them along the Lincoln Highway, the pioneering American transcontinental route championed by Henry Ford, and part of Jackson and Cocker’s original crossing, as well as down sections of iconic Route 66. They will mark the start of their non-stop journey, which begins on Columbus Day (October 14th) by filling a bottle with water from the Atlantic Ocean, just off Staten Island. The water will then be poured into the Pacific Ocean when the team arrives at Venice Beach, Los Angeles. That’s when the clock will stop and a new world record will be set. At the heart of the challenge is the car – a 1930 Ford Model A that will be on display on the Snyders Antique Auto Parts stand at the Antique Automobile Club America’s Hershey Classic Car Show prior to setting off on this record-breaking adventure. Affectionately called Tudor Rose, the car is well accustomed to handling tough terrain as it has recently completed the Peking to Paris Rally, considered to be the world’s greatest motoring challenge. 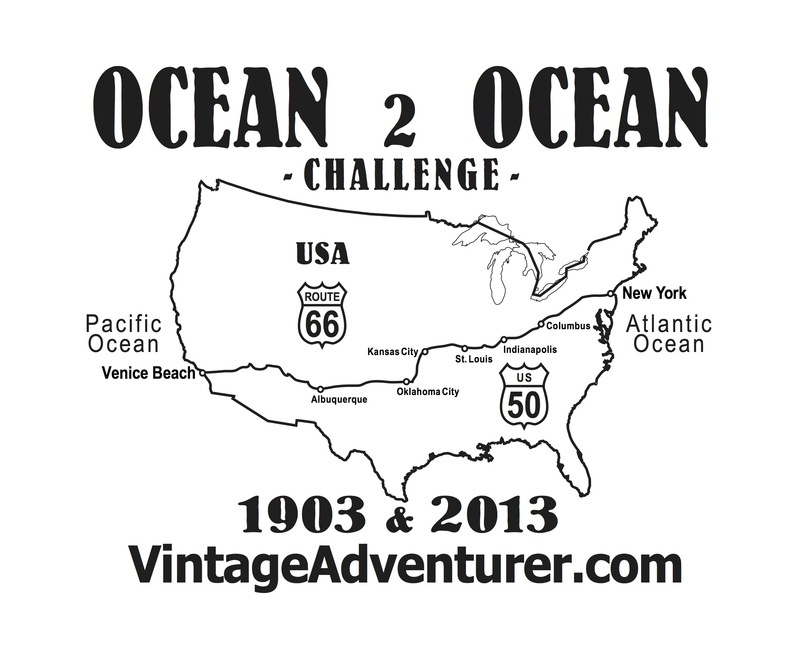 The “Ocean to Ocean Challenge – America” will raise much needed money for the American Kidney Fund. With kidney disease affecting Rod’s wife and daughter, he has raised thousands for Kidney Health Australia and now is looking to support kidney sufferers in the USA.